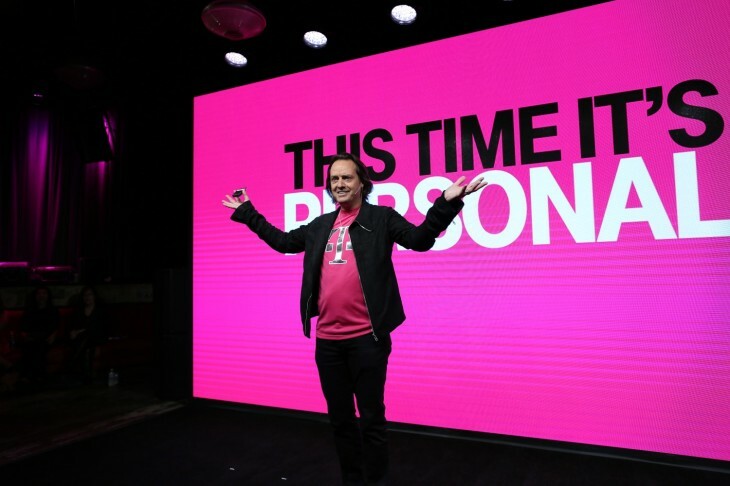 T-Mobile’s new ONE plan was met with much criticism when it was announced a couple of weeks ago, for good reason. But the company is now backtracking slightly on some of the biggest pain points on its new plan. The plan originally included unlimited tethering, which sounded great until you realized it was capped at 2G speeds (or 128 kbps) often with lower speeds in the real world. In other words, it was barely a step up from dial-up, and pretty much unusable for anything you’d want to do on the Web, especially on a full-fledged computer. It was a complete rip-off. Now things are looking a bit brighter.After the backlash, the company is now boosting its tethering to 512 kbps. That’s mildy tenable for real-world usage; you should be able to do general, slow web browsing at that speed and maybe watch very low bitrate video. Speaking of video, you can now pay $3 buy an HD Day Pass and view videos at up to 4K resolution for 24 hours. These can be purchased via an ‘add HD button’ in the T-Mobile app. While those updates still seem like a bad deal to us – T-Mobile previously gave you a full-speed tethering allotment even on cheaper plans, and limited video resolutions were previously optional – it’s at least an improvement. Unlimited LTE data for tethering. You can basically use your computer at the fastest speeds your phone can muster, without worrying about any data caps. Unlimited HD ‘Day Passes.’ You can toggle HD video on for 24 hours whenever you want, as many times as you want. There doesn’t seem to be a way to keep it on permanently, but at least you can use it as often as you need. It makes T-Mobile the first wireless carrier in the US to offer unlimited mobile tethering. That’s pretty cool. Don’t plan on cancelling your home connection just yet though. As before, if you use a very high amount of data – over 26 GB per month – T-Mobile says it may throttle you based on network conditions. You may see slower speeds in crowded places, as your data is shifted to lower priority. You should be fine if the network isn’t operating at capacity though. Furthermore, tethering has a lower priority than smartphone and tablet connections in general, so your PC might be a bit slower to load pages under certain conditions, even if you haven’t been using a high amount of data. The new plan will also now be available on September 1, instead of September 6. While we still take issue with the lack of any full-speed tethering or HD video capabilities included by default, today’s updates are a much better option than hot mess T-Mobile introduced a few weeks ago. Having to toggle on HD videos will be a bit of a pain, but it’s arguably a reasonable compromise considering all the people who watch load HD video on their phones but don’t actually care about it or even notice a difference. All that being said, I’m dubious whether T-Mobile really listened to customer feedback to implement the changes – the swiftness of it all has a bit of a marketing stunt stench to it – but at least T-Mobile one now actually sounds like a pretty decent phone plan for power users.